supporting eco-conscious living (and winning)! Here at Why We Love Green, you can win a bottle of OraMD Natural Toothpaste and Mouthwash. There will be three winners and each will win one bottle, valued at $40! OraMD is a wonderfully natural alternative to regular toothpastes, mouthwashes, and breath-fresheners, because it is made in the USA with 100% pure peppermint, spearmint, and almond oil. These vegan ingredients are specially formulated to eliminate 22 harmful types of oral bacteria! 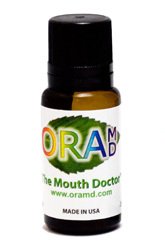 To enter to win a bottle of OraMD "The Mouth Doctor", please click on "read more" and fill out the Rafflecopter form below! The giveaway runs from April 7th to April 21st. Good luck! For every giveaway you enter during the Earth Day Event, you gain an entry toward the event Grand Prizes. Go here to enter to win the Grand Prizes: 3 chances to win a Grand Prize. Enter below to win 1 of 3 bottles of ORA-MD! You can read my full OraMD review here. Please visit www.trustedhealthproducts.com/oramd/ to learn more about OraMD! 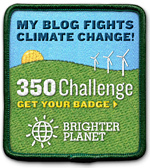 After entering, hop to the other blogs on the linky to enter to win their amazing Earth Day products as well! Trek Bike Giveaway: Choose Cartons! 20% Off for Earth Day at GoGreenMarketplace.com! Free Logo Maker from OnlineLogoMaker.com Review!